When it comes to dressing up for the cold weather, I get a bit hesitant. My goal is to look cute while staying warm. My mom always told, “Manten tus pies calientitos, Daisita!”, so as long as my feet are warm… we good! As I mentioned in the last post, my trip to PDX was so cold. I think this trip definitely helped me practice my layering skills while staying mobile and fab. I rocked two pair of socks all the time, wore a pair of leggings under my pants, about two tops, plus my coat. I was a happy camper. I also learned that adding fun accessories to your cozy outfit could sometimes help you feel more put together. 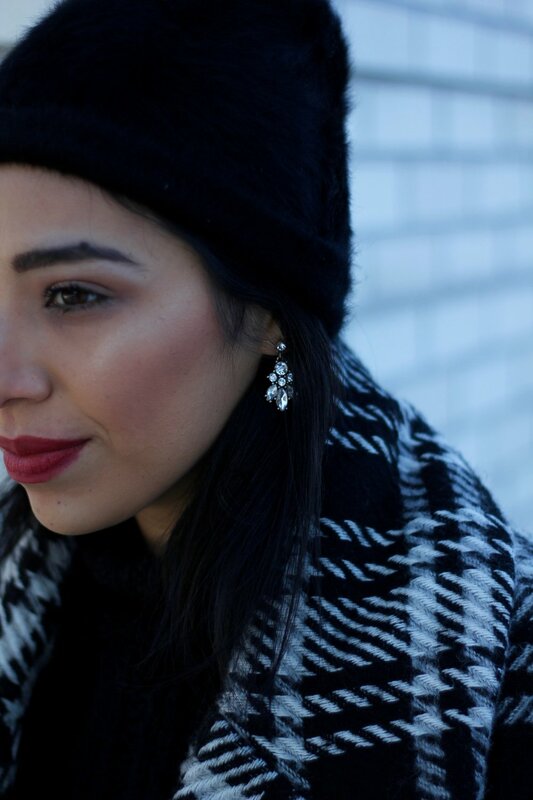 I went for a fuzzy beanie, sparkly earrings and bold lippies. How do you stay warm and cute during cold days? Any tips?